The International Air Transport Association (IATA) urged Asia- Pacific aviation leaders to focus on airport and air traffic management infrastructure as the region’s demand for connectivity continues to grow. “Aviation is a vital part of Asia’s economy, supporting 24 million jobs and nearly half-a-trillion dollars of GDP. Connectivity, facilitated by aviation, is a critical link to markets and a generator of wealth—both material and of the human spirit. Ensuring the timely development of sufficient and cost-efficient infrastructure capacity is a priority for the continued successful growth of air transport in Asia-Pacific,” said Tony Tyler, IATA’s Director General and CEO. Tyler was speaking to delegates at the Association of Asia Pacific Airlines (AAPA) Assembly of Presidents in Kuala Lumpur. Airports: IATA advocated for a prudent approach to private investment in the development of airport infrastructure to support demand growth in the Asia-Pacific region. The comments come as a trend is emerging across the region with governments in Vietnam, Indonesia and the Philippines all considering the participation of private investors as they plan for the development of airport infrastructure. The Korean government is considering private equity participation in Incheon airport. “I am not advocating for or against private participation. But there have been enough mistakes made when engaging the private sector in airport development. These should not be repeated. When governments work with private investors to develop infrastructure they must establish an effective economic and service-level regulatory framework to ensure that the national interest is well protected. That means ensuring that air connectivity is both cost-effective and efficient,” said Tyler. Tyler cited the example of Delhi Airport, where the 46% concession fee is making the airport unaffordable for airlines. Despite several appeals from the industry, the Airport Economic Regulatory Authority approved an increase of 346%. “Private sector participation was able to build a great hub facility. But the framework for economic regulation is not sufficiently supporting the long-term need for cost-efficient connectivity to fuel economic growth,” said Tyler. He also noted that when the Hong Kong government looked at airport privatization in 2003-4, the conclusion was to keep Hong Kong International Airport fully under government ownership as the best way to ensure that it delivered maximum benefit to the Hong Kong economy. Air Traffic Management (ATM): IATA urged cross-border regional thinking for the development of Asia-Pacific’s ATM infrastructure. “Asia-Pacific is not immune to air traffic congestion issues, and these will grow acute if they are not well-managed with a regional perspective. The Seamless Asian Sky initiative is helping to define the way forward by harmonizing procedures and interoperable technology between states, bearing in mind it needs to be cost efficient at the same time. We must not repeat the mistakes made in Europe where efforts to implement a Single European Sky are stalled because states are not delivering,” said Tyler. The annual cost of airspace fragmentation to the European economy is estimated at over EUR 5 billion annually and the cost to the environment is 16 million tonnes of CO2 emissions. Tyler urged the industry to take on a leadership role in the further development of a regional approach to ATM in Asia-Pacific. “Other parts of the world have civil aviation commissions that formally unite governments in delivering regional solutions. The absence of such an institution in Asia creates an opportunity for industry to support governments with regional thinking. The IATA team looks forward to working closely with airlines and the AAPA to provide this vital perspective,” said Tyler. 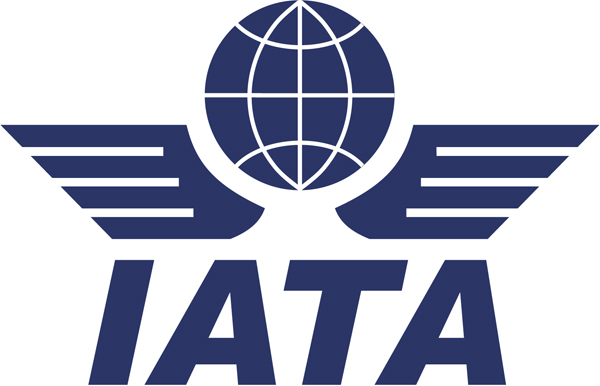 Performance: IATA’s latest estimate for global airline net profits is $4.1 billion in 2012. On expected revenues of $636 billion, that is a 0.6% net profit margin. When compared to the previous year (when airlines earned $8.4 billion and a net margin of 1.4%), that is a fall in profitability of more than half. Asia-Pacific airlines are expected to deliver a combined profit of $2.3 billion in 2012. In line with the industry trend, that is less than half of the $5.3 billion profit that the region posted in 2011. The aviation industry continues to be buffeted by high oil prices, fragile global economic prospects (particularly weak European markets and slowing growth in China), onerous regulation and high taxation.